The Tuluntulu app on Apple and Android offers users up to 10 TV channels. Tuluntulu - a new app offering subscription-free mobile television streaming - aims to grow its local presence by enabling viewing in low-bandwidth conditions. This is according to Pierre van der Hoven, Tuluntulu director, who adds the platform hopes to build a measurable, global IP television system "that will be attractive to advertisers and content owners looking for new forms of distribution". The app was recently released on the Google and Android app stores, offering 10 channels, although users will incur data costs. Tuluntulu says the app's launch is a response to existing streaming platforms, which it says do not always cater for Africa's low-bandwidth context. "Web sites presume that users want high-quality content, meaning they stream content at between 140Kbps and 280Kbps, which is too high for most of the developing world's congested networks and low-bandwidth environments," says the company in a statement. Tuluntulu says its technology is "rate-adaptive", allowing a cellphone's streaming rate to change and work at a rate as low as 50Kbps. Arthur Goldstuck, World Wide Worx MD, says streaming costs are difficult to quantify, as they depend on the rate quality selected and the throughput from the operator - which defines how solid and strong the signal is to allow for continual, uninterrupted streaming. "As things stand, streaming high-definition TV via mobile broadband is just not viable from a cost point of view; low-resolution video could work on 3G or long-term evolution if you have a good signal, but the cost could also be prohibitive," he says. 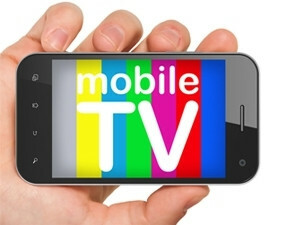 The venture is not the first to push for increased uptake of mobile television locally, as MobileTV has been awaiting a licence to launch channels for handheld devices for some time. It subsequently launched a satellite pilot in February that includes three free-to-view channels on Sentech's Freevision platform. The TV4U venture latched on to local viewers through Sentech's direct-to-home platform and offers access to Extreme Sport, Jim Jam and Fine Living channels. Additional TV and radio channels expected to be tested on the platform include The Karaoke Channel, BBC Radio, Mundial TV, People TV, Sports TV Premium, Football TV Premium, MGM movies, Zumba TV, Bollywood TV, African Movie Channel, Red Line TV and Street TV.